House in a former automobile showroom dating from the 1920s, the dining experience with winery will feature high end cuisine with an emphasis on local produce and meats. Hudson & Essex is owned and will be operated by the same team that created the successful Cypress Hill Winery. 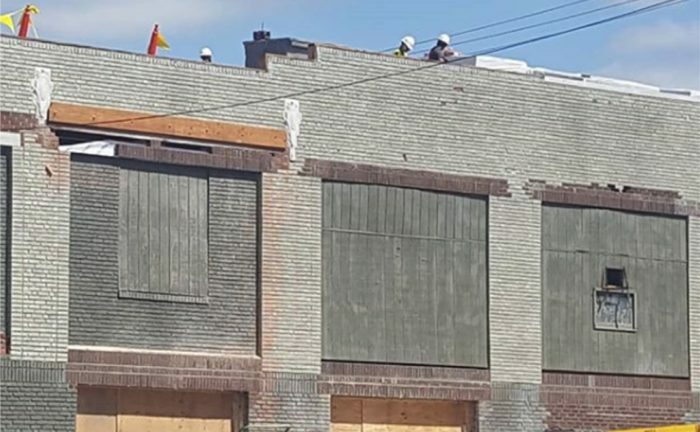 The exterior of the building, with its brick and decorative stone accents, is being renovated to appear as it did when Hudson and Essex automobiles were sold there. As we shared in our story on Mansfield’s very first auto show – which took place in 1917 – the very first car sold during the event was a Hudson Super Six. That story can be accessed here. Curious as to what the two floor, 14,000 square foot building looks like on the inside? Eager to see what it will look like when completed? Both are possible now, thanks to a new website launched by Hudson & Essex. Included are time lapse videos of interior renovation work, renderings of the restaurant spaces when completed, and also an animated “flyover” of the finished restaurant. The new website can be found at: www.hudsonandessex.com. Click here for the latest updates on the Federal Fugitve Manhunt from local, state, and national media.